Rosie really enjoyed making these little play dough spiders this afternoon. I’m hoping if we put them in the windows it will deter some of the real spider residents of the house from living here! I’ve heard conkers repel spiders?!? 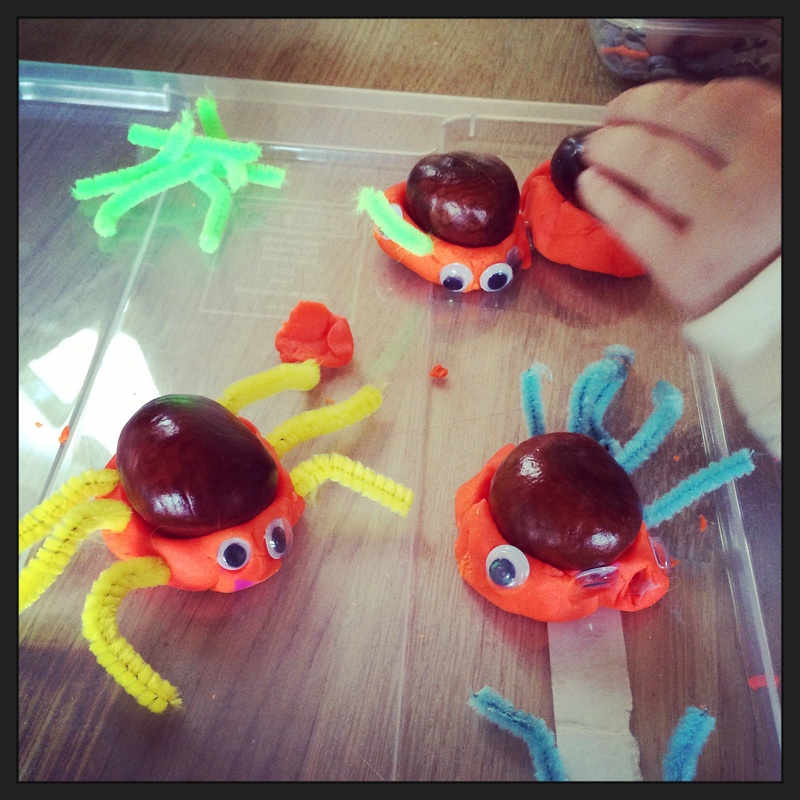 This entry was posted in Arts & Crafts we love ... and tagged Conker, Conker spiders, Craft, playdough. Bookmark the permalink.